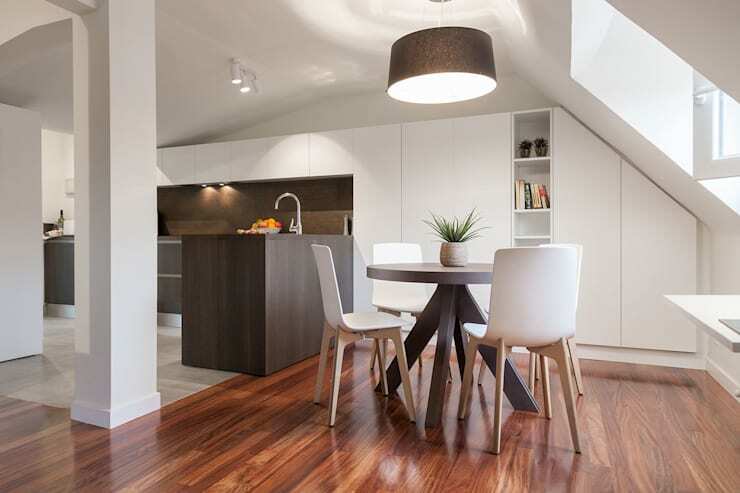 Dining rooms are crucial areas within our dwelling's interior. Not simply a place to eat, it is also here that we socialise with friends and guest, often sharing stories over tasty and delicious meals. Dining rooms are spaces we reconnect with our family after a long day, and they provide the ideal spot to relax and unwind. 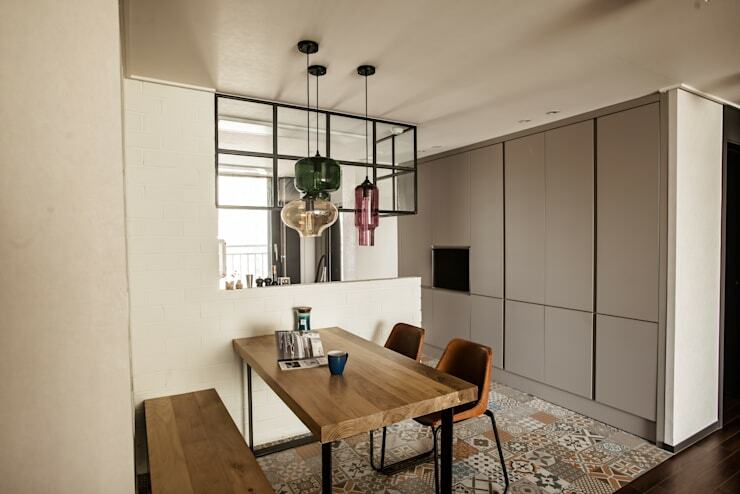 However living in Hong Kong often means compromising on interior space, and for a lot of us, designating an additional room for the unique purpose of dining, is often a luxury not generally afforded to apartment-dwelling folks. That is where homify step in with a few hints and ideas to turn even the most humble of spaces into a stylish and sophisticated dining room! Making the most of its compact space, this neat Scandinavian-esque room is replete with sliding door storage, which hides all the room's necessary amenities. Go eclectic with a range of different dining chairs. Not only will you boost your design nous, you'll create a room that is interesting for yourself and your guests. 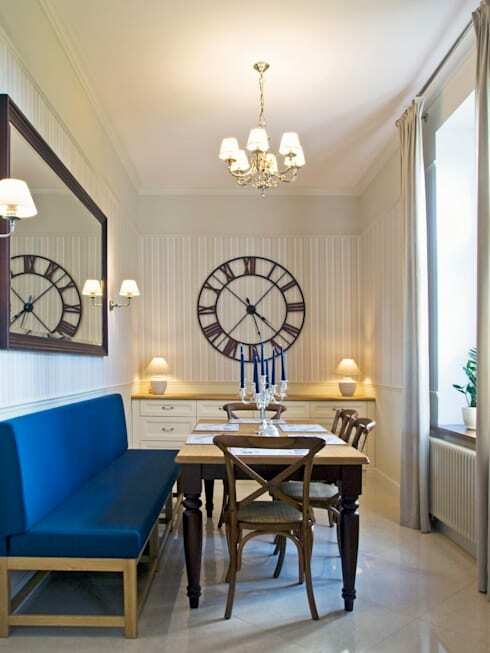 One of the best small dining rooms we have seen, this gorgeous space occupies a corner that would otherwise be unused. 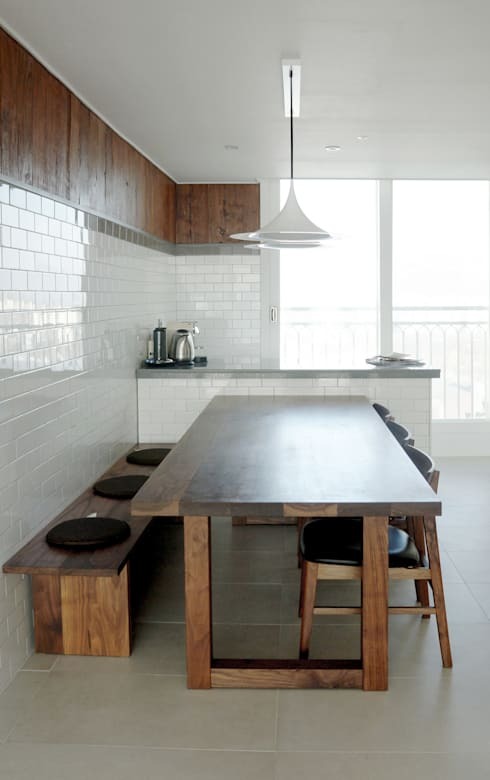 Employing bench seating adds to the practicality of the room, while the tiled floor provides depth and interest. With effortlessly chic subway style tiling throughout, this room is beautifully designed to feel relaxing, restful, and wonderfully Zen. Once again bench seating has been utilised to add versatility to the room, ensuring a purposeful and practical living zone. 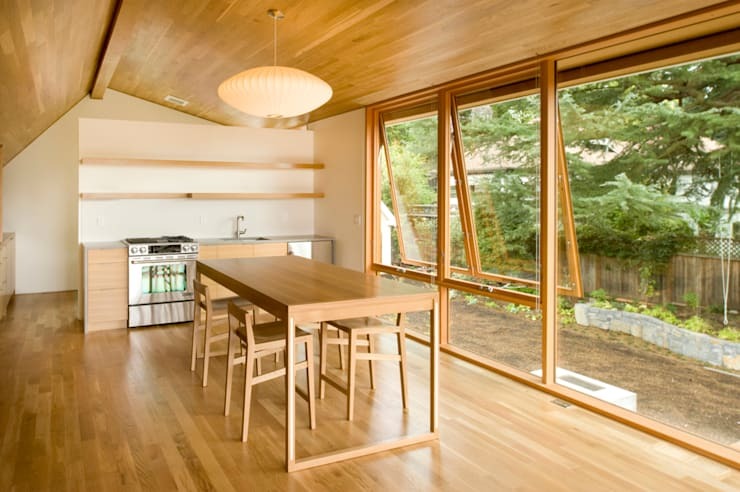 In this carriage house, the dining table and chairs have been designed to fit together like a puzzle. This means that when not in use, each chair can be pushed underneath the table, keeping the room free, providing ease of movement through the space. Who says a dining table needs to be large to be opulent? 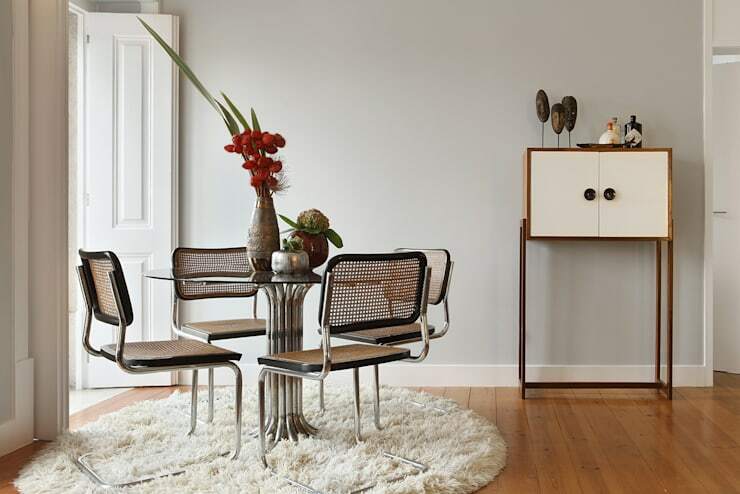 This compact space ticks all of the stylistic boxes, creating a room that is both high on fashion and retro chic. If you need assistance in decorating or designing your abode, chat to a professional and ensure you get the right advice to create your dream dining room. When you are working with a small area in your compact home, you want to make sure it is versatile and practical. 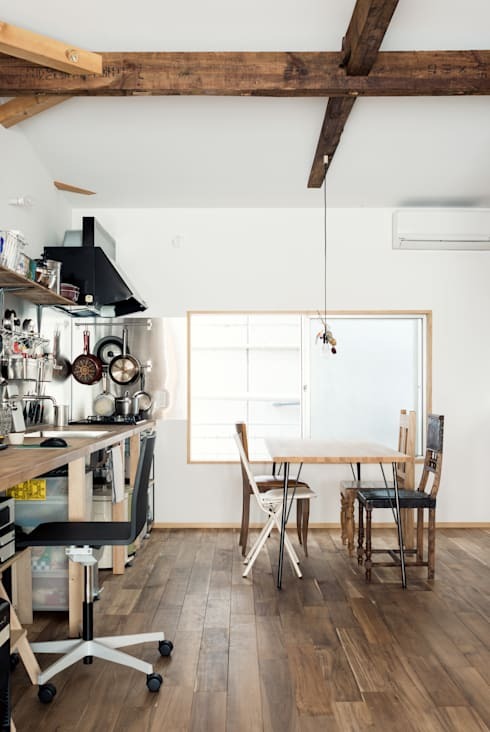 Here the dining space can be used as a meeting point for the dwelling, as well as a place for children to sit and complete homework, while the parents prepare dinner. To ensure maximum comfort and style of your compact dining room, you need to ensure it is well-lit. 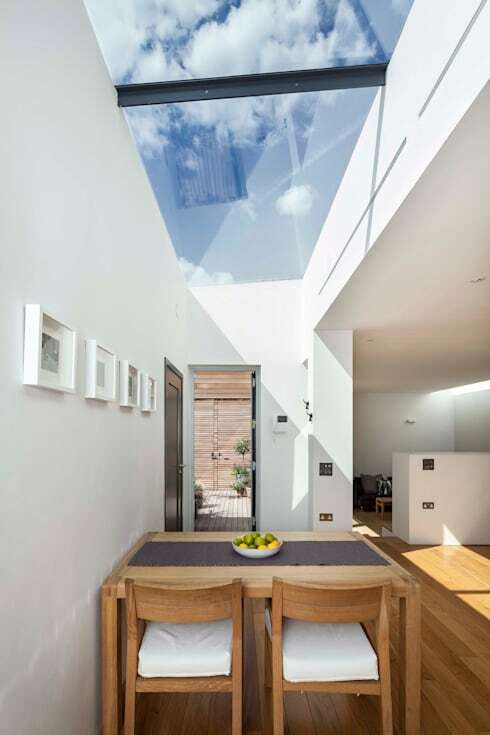 This gorgeous example seamlessly employs roof lights to illuminate the space, but you could alternatively invest in a stylish pendant light, or wall-mounted sconces. Full of character, this room wonderfully combines a sense of charisma with thoughtful dining room pieces to create an eclectic ambience, rich in detail and space-saving features. 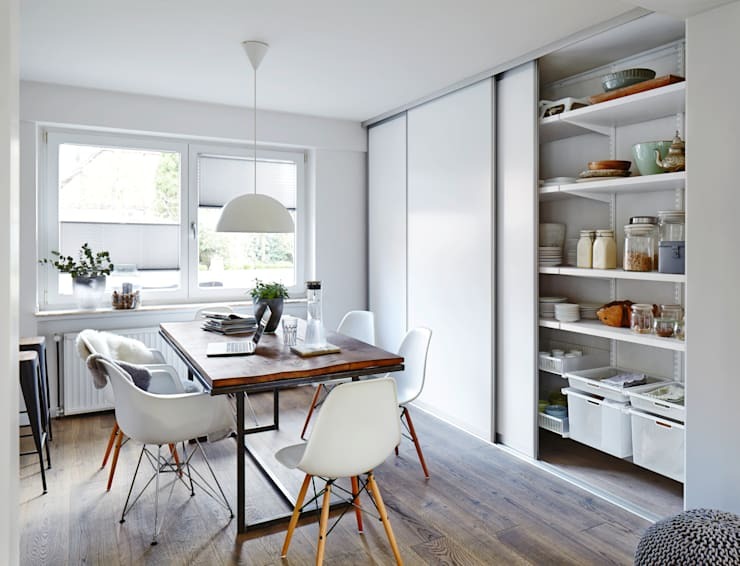 Of all the space-saving dining rooms we have seen, this definitely has to be one of the finest. Replete with an eye-catching upholstered bench seat, classic furniture, and a huge reflective mirror, this room is a wonderfully thoughtful and stylish space. Do you have any tips or tricks for our homify community? We'd love for you to contribute by leaving a comment below!